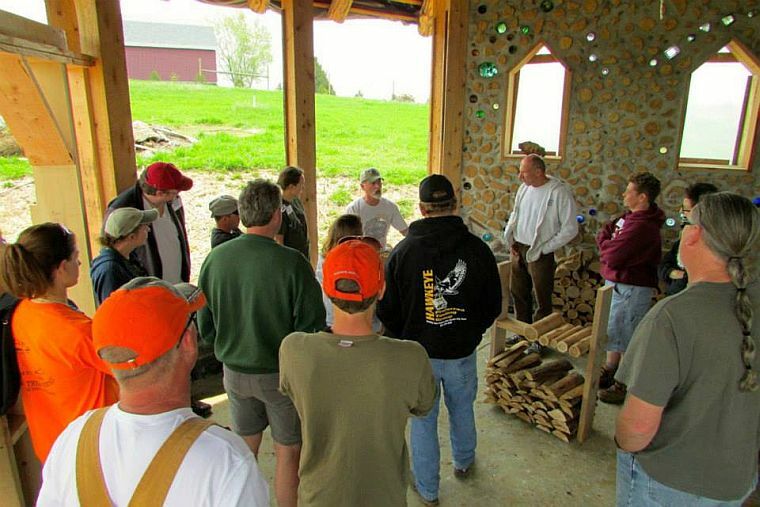 The Cordwood Workshop on May 18-19, 2013 at Kinstone near Fountain City, Wisconsin was a rousing success. 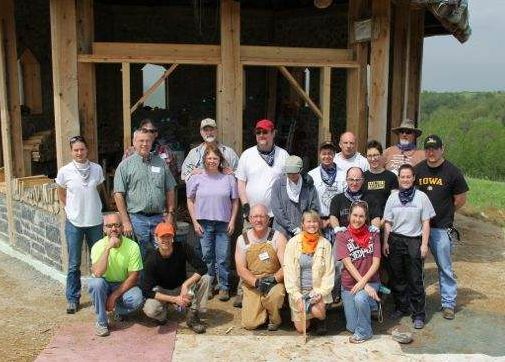 Sixteen wonderful people learned the fine art & craft of cordwood construction. 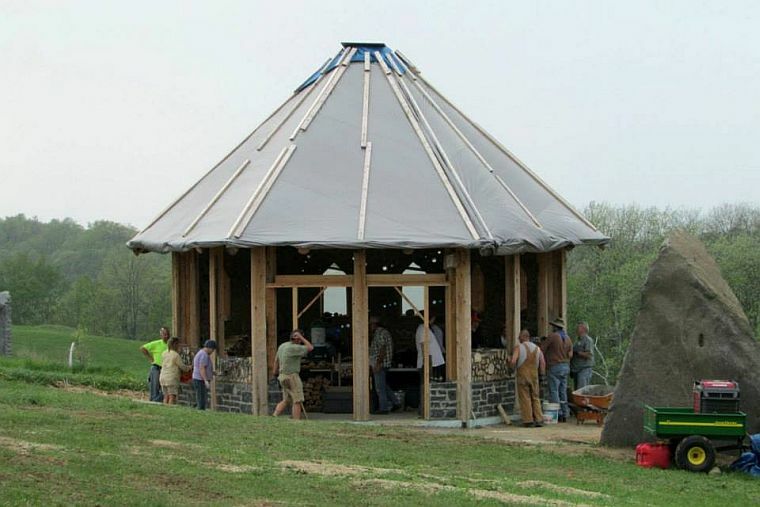 The Cordwood Chapel is full of nature design motifs and the combination of an evolving permaculture site with stone circles and monoliths makes for some very powerful energy. 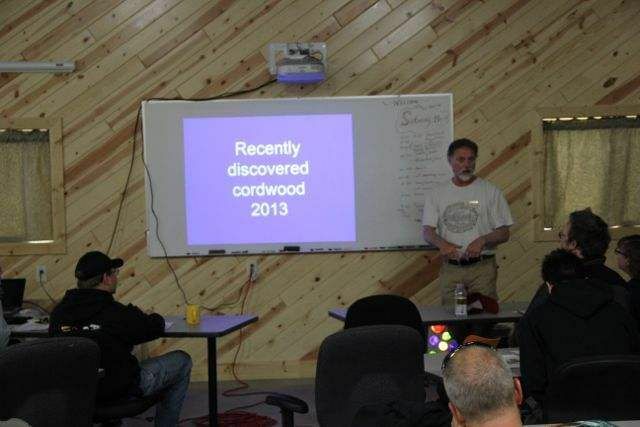 There are more photos at www.permacultureproject.com and at www.cordwoodconstruction.org under What’s New? 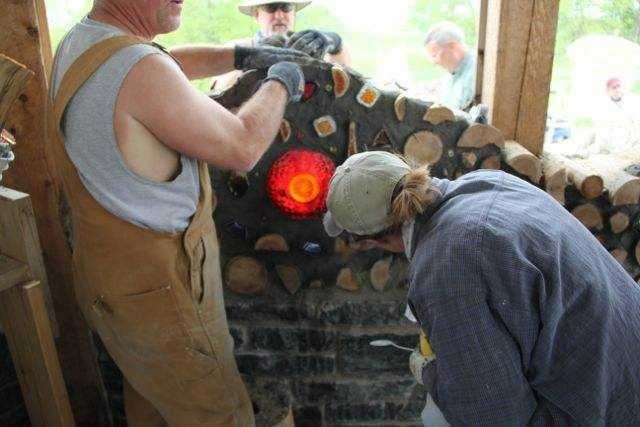 The Kinstone Cordwood Chapel under construction. 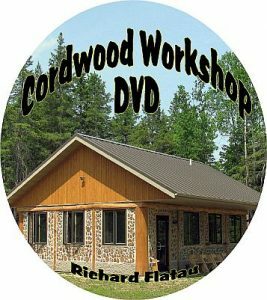 I don’t know what it is about cordwood, but it draws out the very best people…we consider ourselves blessed to have met and worked side by side with “salt of the earth” types. 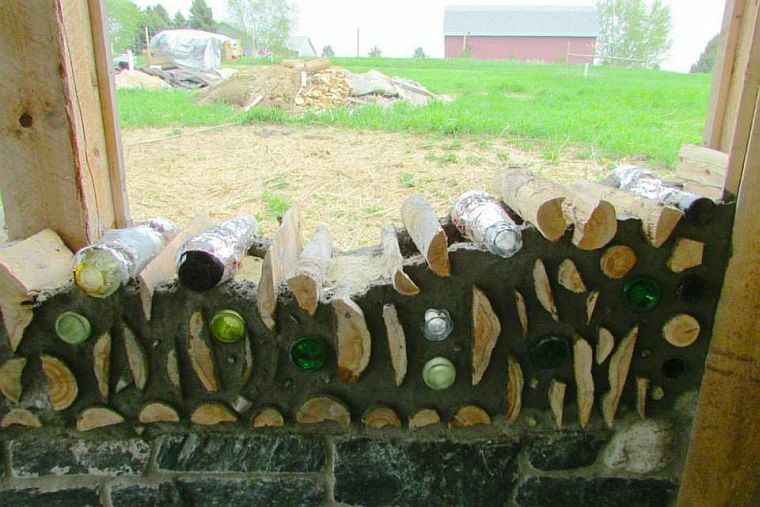 Design features like in the “fire wall” are made from serving bowls reclaimed from thrift shops. 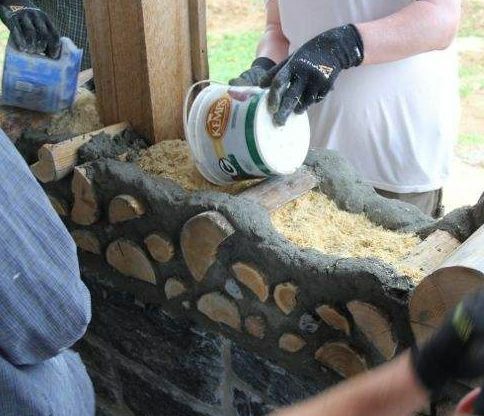 Hands on mortaring of a cordwood wall in a “learn it by doing” style is the best way to “cement” the tricks of the trade. 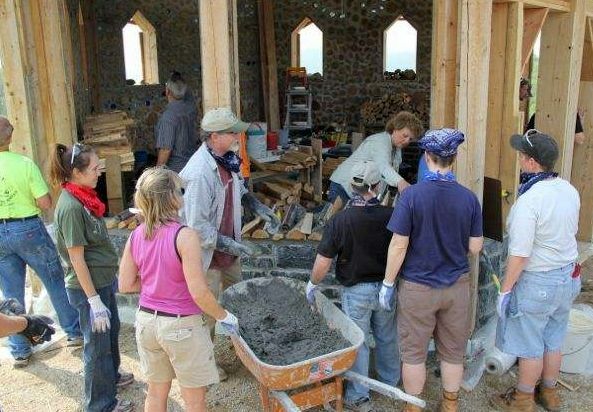 The site is so beautiful that it is easy to maintain ones concentration. The grass wall will have flowers blooming at the next workshop! 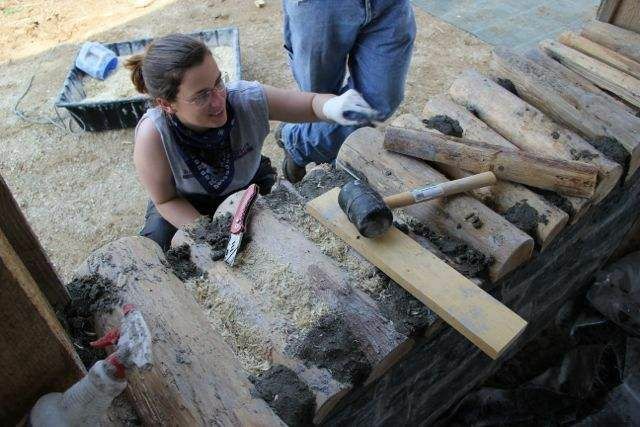 Cleaning the hairs off a log end is important to make the wall look its best. If I see it and do it, I remember. 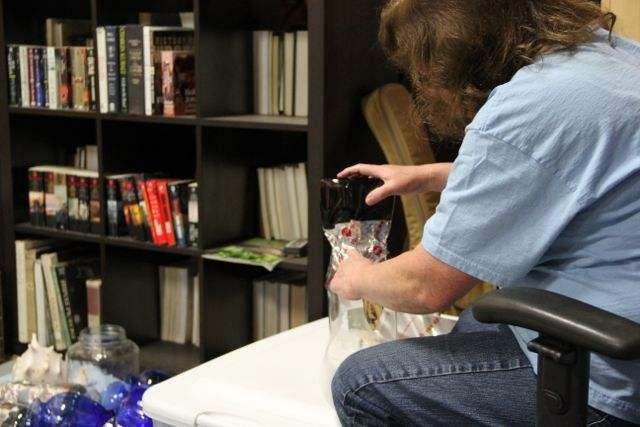 Making bottle ends requires concentration and Kinstone has hundreds of bottle ends in its walls. It is most assuredly, a work of art. 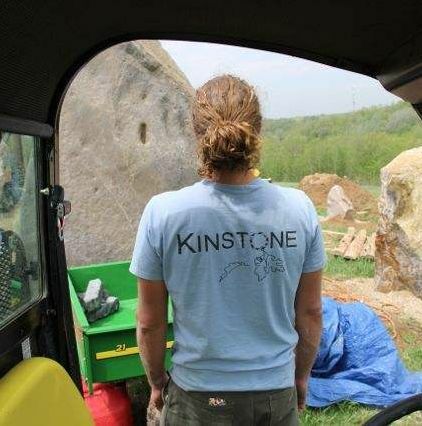 The shirt on Jarad portends the wonderful stones and their stories and the feeling of kinship that permeates the air at Kinstone. 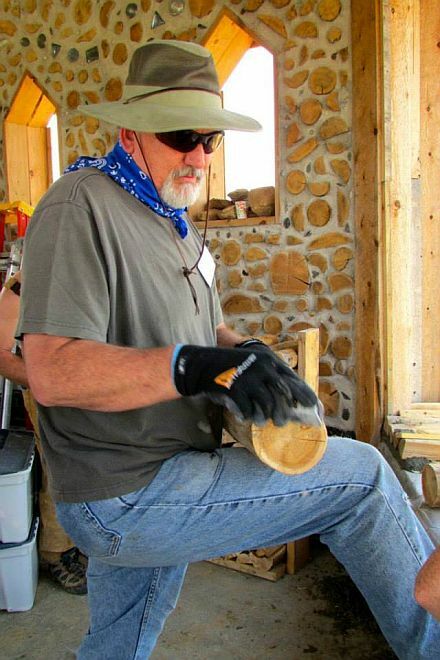 Sawdust and lime insulation is added and packed in the center cavity. These pictures are all courtesy of Kristine Beck and Wayne Weiseman of www.permacultureproject.com Wayne is a founding member of The Kinstone Academy of Applied Permaculture, along with “Rock Star” Kristine Beck and “Mr. Fix-it” Jarad Barkheim. 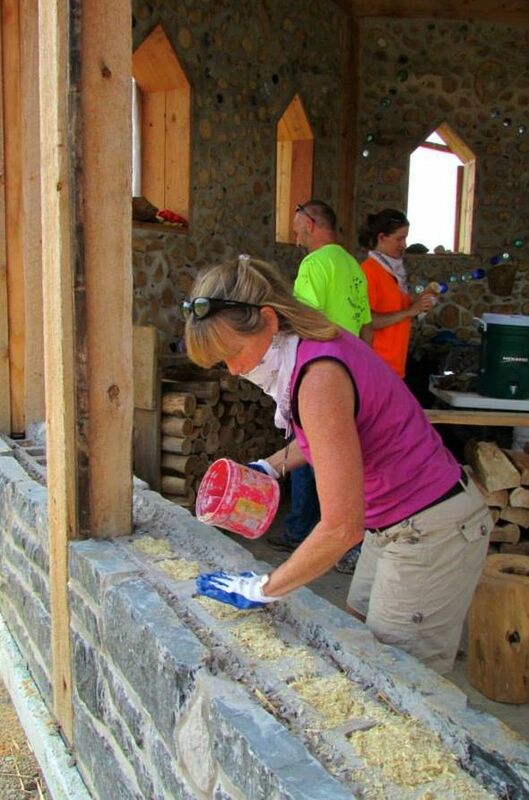 When the mortar starts a flowing the wall starts a’rising. 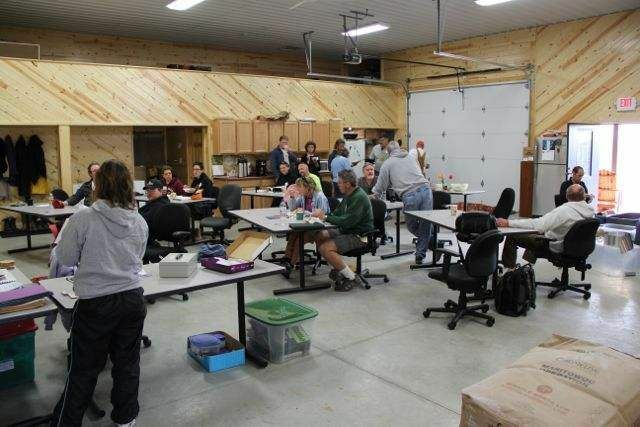 The hard working, quick learning crew! 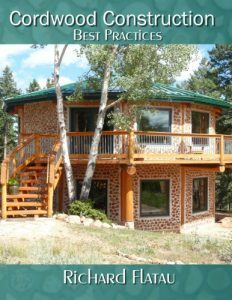 Websites to find out more about Kinstone Academy, Permaculture Project and Cordwood Construction.